M.O.H. @.L.Y.I.C.S ©: 849) ما أسخم من ........ إلا الخنزير !! Second question:the only thing that would drive away all pigs is for egyptians to unite just like they do when facing a disaster or like we all did during the 18 days of the revolution. 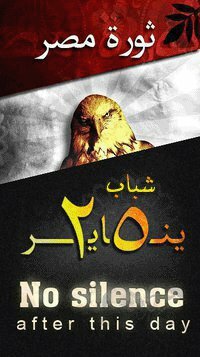 This dpirit is our only valid weapon, which all pigs try to break:strong solid love to z country, fearless ans selfless spirit with love to eachother as egyptians. Third answer: after all pigs leave we must focus on rebuilding the egyptian personality that hosny elzeft distroyed and rebuild the country. Sounds like we need a miracle, but i am sure Allah won't leave us alone. ونرجع ونقول "الشعب يريد اسقاط النظام"
انا هاجاوب على سؤال انت ما سالتوش...مين هو اليهودي ومين هو الحاخام اللي نصحة.... اليهودي هو المجلس العسكري اللي مبارك كان جزء منه..اما الحاخام فهو مامتهم امريكا"
يمكن يكون بتكملة الثورة وتكوين مجلس رئاسى مدني وحكومة انقاذ وطني. Asmaa: seems that we have a winner .. full answer + bonus (answering the unasked questions). sohad: ahl el bet saybeen en khanzeer we nazleen khena2. Enta 2olt kol 7aga! El ta7'alos men el 7'anzeer mosh hadaf..7al el mashakel Elle kanet mawgoda 2abloo..kol da fee 2eed 2ahl el beet! homa low 3andohom 3a2l mesh hayesma3o kalam 7ad! Ana shayfa ahl el beet el sha3b mesh el magles el 3askaree. On a serious note, I believe that we should work on spreading awareness so 2ahl el beet ye3rafo yena2o Elle hay3eesh benhom..again if u consider them el sha3b. El moshkela wel 7al fel nas..awareness is short term- education is medium to long term. First we have to specify the pigs and really treat it in a way that gurarantees their never coming back. after gettings the pigs out of the house, the house should be cleaned from any leftovers whatsoever. then the house should be repaired inside out and the house bases should be throughly checked and repaired if necessary, for I am sure that the pigs' work have gone deep. only then, the house inhabitants should start rebuilding/continue building their lives each as needed. No offense ... I am afraid to death that el khanzeer is a girl that I marry and make me nostalgic for the time of loneliness I am experiencing now. happy thoughts in kol 7aga except "el potential khanzeera"
hmmmm, khanzeera is a compliment or a description or a naming here? khanzeera a symbol of the above story .. someone who comes and make me regret not being single forever..
- أنا عشت حيـاتي كلها تاجر كيوف؛ ابتديتها بالشاي والبن والدخـان.. الكيف شهوة، والشهوة هي اللي بتشد القرش من جيوب الناس..
- النـاس هم اللي مغفلين.. وفي شهوتهم غرقانين، واللي يقف ع البـر ما يغرقش.. إحنا ماضربناش حد على إيده.. اللي بيحبنـا هو اللي بيرمي روحه في حضننا.. زمــان كنت باغش الشاي بنشـارة خشب وابيعه في بواكي.. شكلهـا حلو مكتوب عليها شاي “أبو الأصـول”.. كسبت والمـاركة بقالها اسم وسَمَّعِت.. وفجـأة.. النشـارة غليت والنجارين اتملعنوا.. عبينـا الشاي من غير نِشـارة.. تعرف حصـل إيه؟.. اتخرب بيتي وفَلِست.. الزبـاين طفشت وقالوا عليـا غشيت الشاي.. مش باقولك مغفليـن! if we apply on the story, the pig was unwelcomed :-). if you want someone who would make you regret not remaining single, look around. you will find plentyyyyyyyyyy. pick up someone who applies tons fo make up at early morning. someone loves to argue for the sake of arguing. selfish, who doesnt give a damn about others. pick up a barbie with plastic surgeries allover. tayeb, if we think about it away from politicis ... what kind of pigs did we have in our lives? Bonjour :) I usually don't call them pigs..I call them " 3awadem 2ensaneya"
but to be honest, Allah sent her way people who got me my right "talet we metalet". I don't call people with animal names, simply because animals have a better and kinder nature than some humans. I met many sick people and there was no way to know they were bad, until i was hit. it is all history now, and when i think back of them, i know they were sick and feel pitty for them. Ya gama3a gypo is from this blog establishers... And well qualified alien as well. Ya 3am enta few Australia.. ma3andkonsh nahda.. Thanks ya man rabbena yekhallik. Pig is just for the sake of the story above..
Nahdetna dy mawaradetsh 3ala 7ad. Kan malo Jimmy??? Right ya Gypo they are energy vampires, and I enjoy slaying them out of my life:)) exhausts reminds me of " el hababa" Elle betetla3 . yes ya Sohad, and there is nothing we can do other than have some understanding for their pain and just move on. @ Doctor Mohamed, sorry i didnt read your reply to me until now. don't know how taht happened.